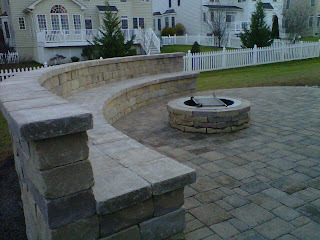 Multi level patio with walls in Cockeysville MD. Appian 6x9 and 6x6 pavers in a running "D" pattern. Chapel Stone for walls. 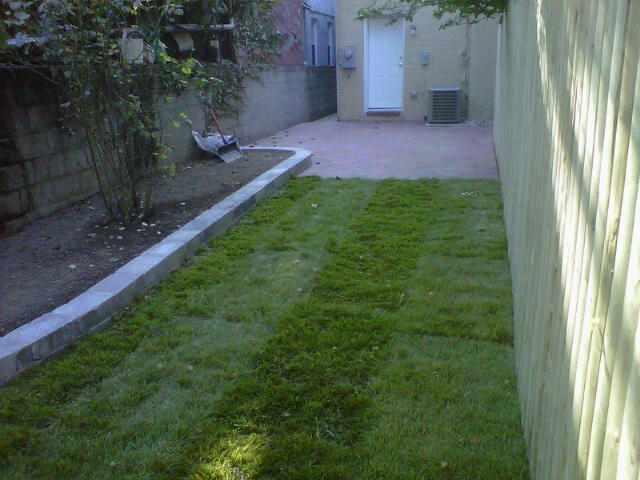 We specialize in Baltimore City back yards. This walkway is the Appian Mixed paver in a running curve pattern in the salmon charcoal blend color. 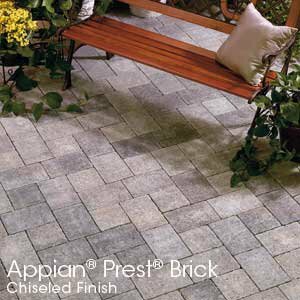 The appian mix is three small sizes 3"x6", 4"x6", and 6"x6" sizes. This is the multisided Patriot paver made by Hanover in the red charcoal blend color. This material is a premium product that is very economical for small and large projects. Priced right. 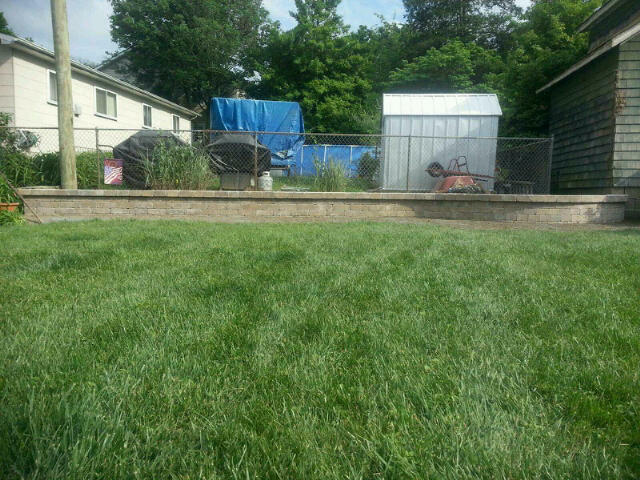 This was a old railroad timber wall. 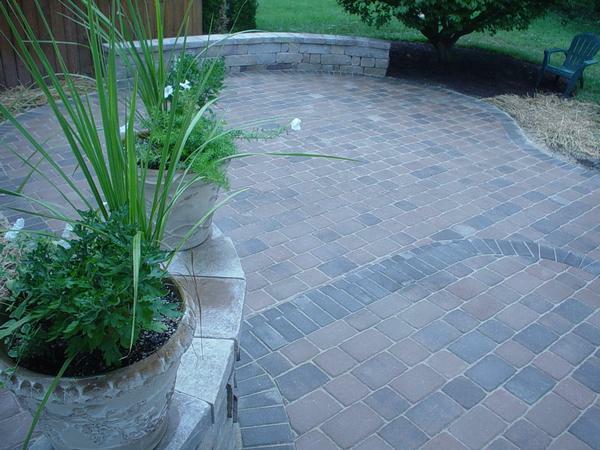 We replaced it with the Ammons Wall Block in the chocolate tan blend color. This wall is made by Hanover. 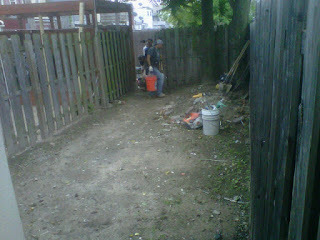 House is located on West Cross Street and we did a new fence and installed pavers. 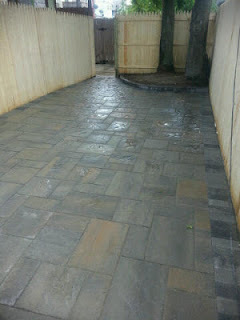 This paver is the BLU 60mm slab paver in the Champlain Grey color. Job is a little wet here because we just finished it. HOT LOOK! 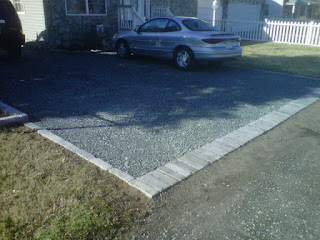 Villagio Paver a classic cobble stone look. 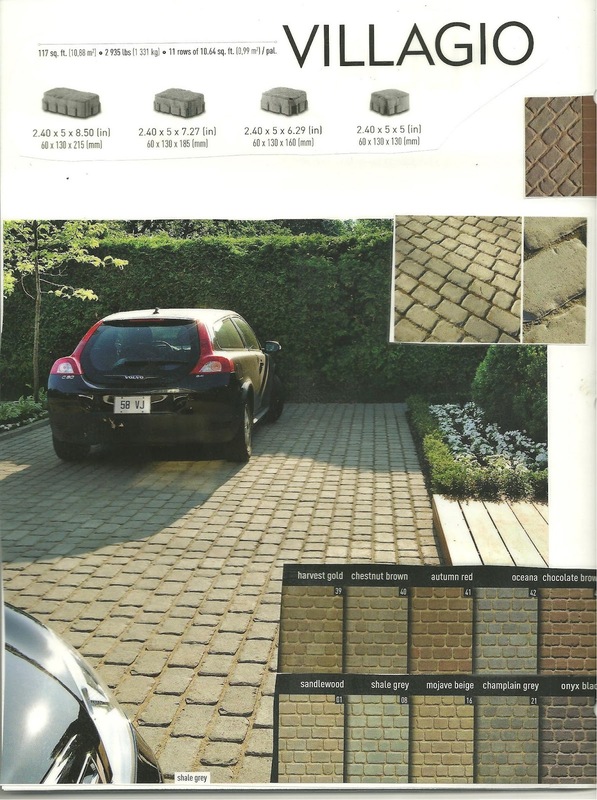 Villigio comes in 4 different sizes mixed together and comes in 10 colors. Awesome old world look. Villagio can be used alone on a entire job or a accent with different pavers. 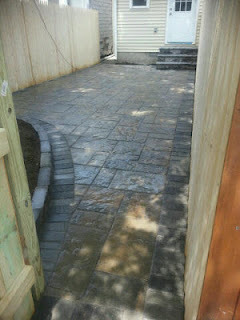 We install polymeric sand on all our jobs. 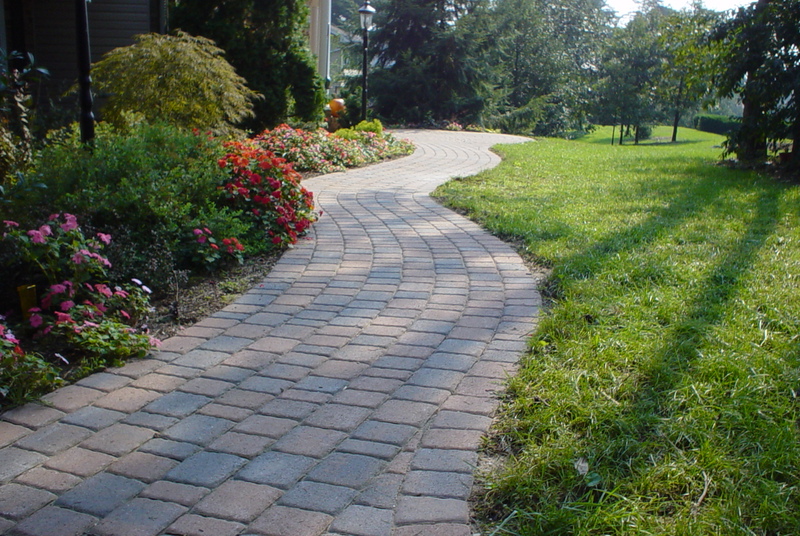 The polymeric sand is applied heavy on the finished pavement and swept in the joints. 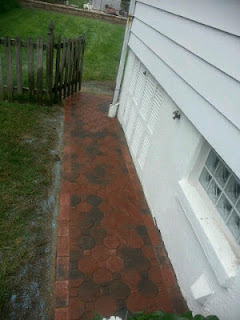 The next step is remove excess sand and wash entire surface off with water and soak the surface/joints really good. 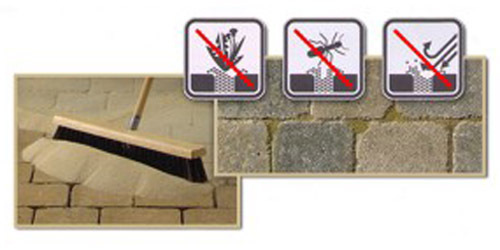 Once dried the polymeric sand gets as hard as a mortar cement. 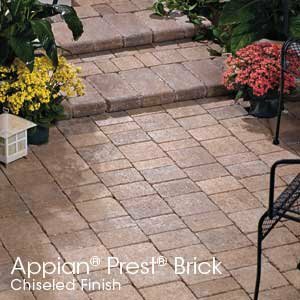 Appian Chiseled Finished has the look of hand chiseled craftsmanship. 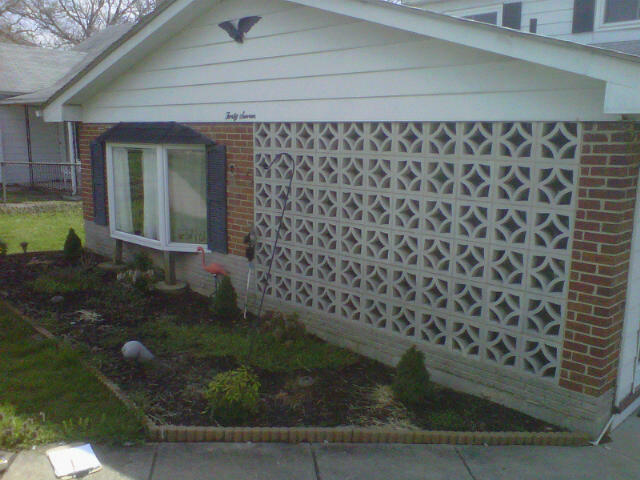 Comes in 6x6, 6x9, mixed, and Random Styles. 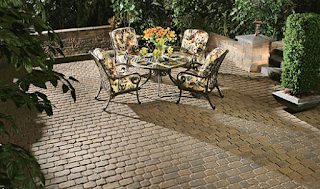 Great price for this paver. Available in four colors. #57 stone washed gravel installed on a layer of geotextile filter fabric with a grey blend chapel paver edger around entire perimeter to incase the gravel and keep it neat. Its also a permeable driveway. 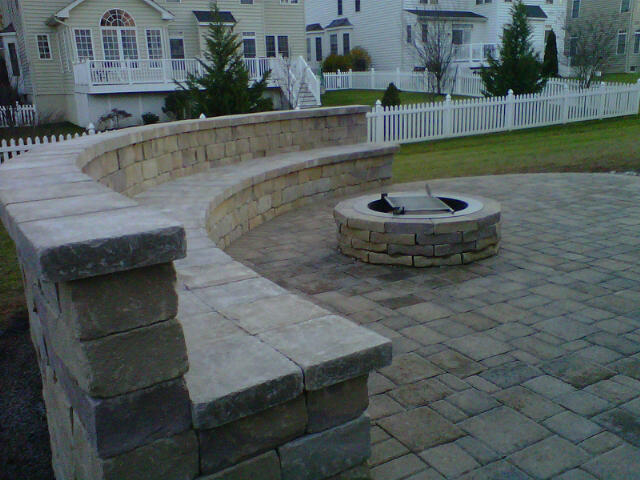 This mailbox is made from the 6" Chapel Stone Wall block with the Chapel Stone Wall Caps on the top. Available in three different colors. This one is the Tan Blend. 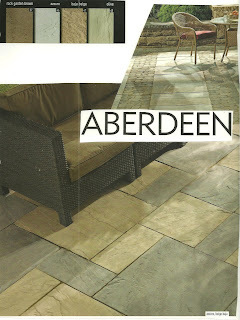 Aberdeen slab paver for a stone look. 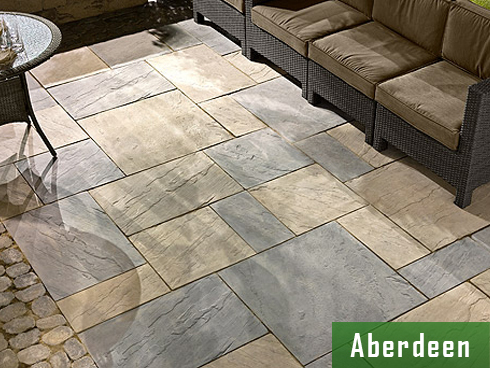 The Aberdeen slab paver is the true look of flagstone with better colors to choose from. 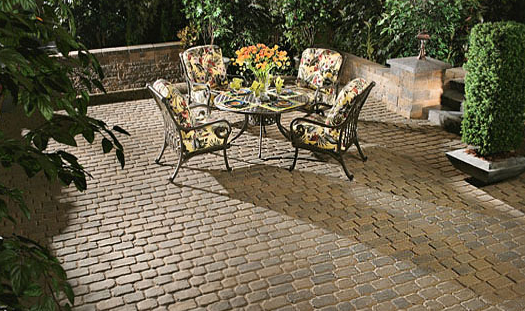 Great for walkways, patios, and pool decks. 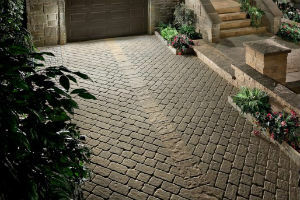 Also, you can accent areas mixing it in with other different styles of pavers. 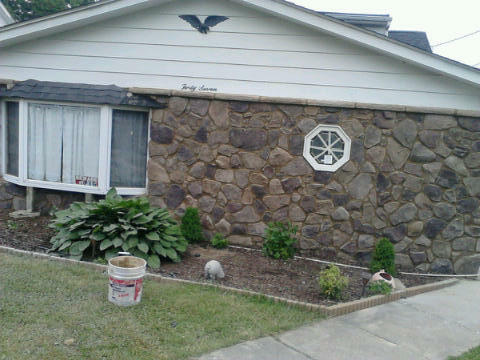 Want a stone job? 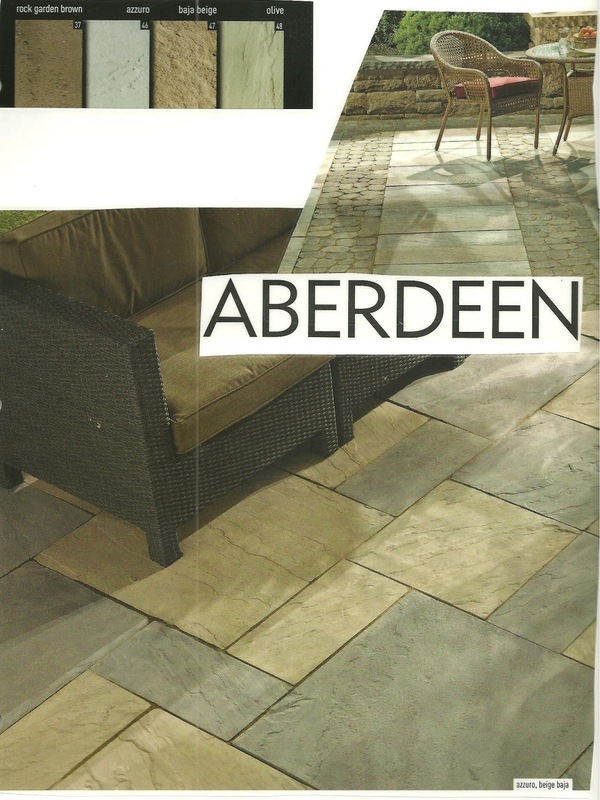 Then Aberdeen is a great choice. Backyard off Chester St in Fells Point. 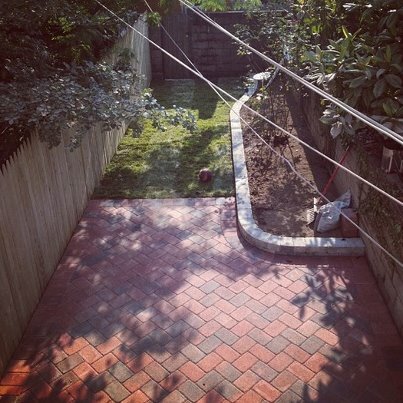 Red Charcoal Blend Appian 6x9 Natural Finish Pavers with Ammons Wall Block Gettysburg Grey for Landscape Wall. 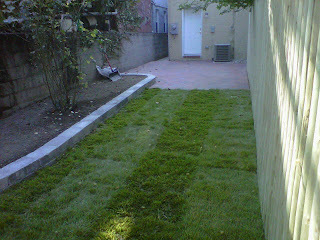 New Fence and Sod. Outdoor Couch and Fire Pit with Lights. 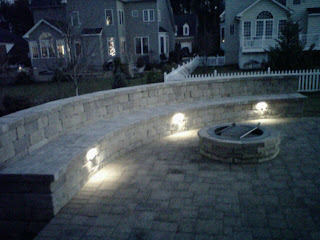 Custom built outdoor couch and fire pit made out of the Chapel Stone Wall in the Tan Blend Color. The Lights in the couch are LED Low Voltage Lighting.